A collection of short breathing practices to help balance the nervous system, led by Mindful Yoga Therapy founder Suzanne Manafort. Offered as a downloadable MP3 album. This series of Embodyoga® breathing practices to calm the parasympathetic nervous system was developed through the Mindful Yoga Therapy program’s work with veterans in the VA’s PTSD Residential Rehabiltation Program in Newington, CT. This audio is part of the Mindful Yoga Therapy practice guide, and is offered free of charge to veterans upon request. These pranayama practices are also highly beneficial to anyone coping with stress in their daily life. Looking for a CD? Order here. 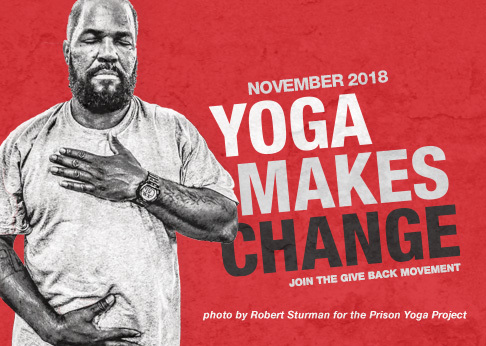 How you’re giving back: by purchasing this audio, you’ll help to fund outreach programs that bring the life-changing power of yoga to veterans, service members and military families.